I planned a lot. I did a full chapter outline of the book and a bunch of research in the months leading up to NaNoWriMo. I had my Scrivener document all set up, with my word targets and chapters all ready to go. Of course lots of the plan changed as I wrote, but it was good to have that scaffolding there to guide me. I took the first week of November off work and headed down to a little isolated cabin with no TV, phone reception or internet. I was full of excitement to get started, and there were no distractions. It even rained all week so I couldn’t go out into the nature! I did 11,000 words in five days. Because I had my chapter outline preprepared, whenever I got stuck on a particular scene, I’d just write a different one instead. I tend to write whichever part of the book I’m the most excited about on any given day, regardless of where it comes in the story. I am an appalling high achiever and the incentive of filling up progress bars on a word target graph appeals to me very much. I actually still use a similar graph now in order to motivate myself to reach a deadline. Breaking a novel down into bite-sized pieces (1667 words a day) makes it feel much less daunting. Slip behind and freak out. Inevitably, things happen. I was working at the State Library and teaching Creative Writing at Melbourne Uni. Plus I was in the final stages of editing A Pocketful of Eyes. I had a bit of a meltdown, crying under the kitchen table and had to be coaxed out by loved ones. It was basically your typical Second Act Turning Point: Our heroine despairs! All is lost! But I’m not very good at accepting failure, so I powered on through into Act Three, word after wretched word. 50,077 words in 30 days, a complete draft of what would eventually be Love-Shy. 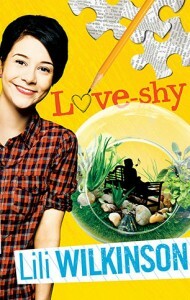 Although the draft came together very quickly (compared to my usual 6-9 months), the book needed a lot more editing – Love-Shy wasn’t published until 2012. So in the end the whole process ended up taking about the same about of time as it usually does. Would I do it again? Maybe. It was hard, a lot harder than I thought it would be. But it was also fun, especially that feeling of being part of something bigger, imagining all those other writers tapping away at their keyboards, pouring words and ideas out into the world. I think it’s definitely something every writer should try at least once! 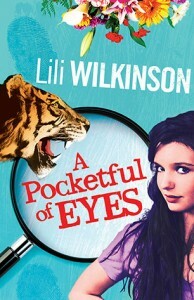 Lili Wilkinson is an author for teenagers from Melbourne. 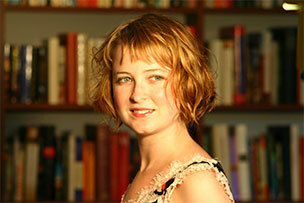 She was first published when she was thirteen, in Voiceworks magazine. 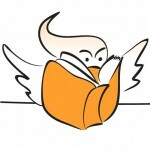 After studying Creative Arts at Melbourne University, Lili worked on insideadog.com.au, the Inky Awards and the Inkys Creative Reading Prize at the Centre for Youth Literature, State Library of Victoria. She now spends most of her time reading and writing books for teenagers. 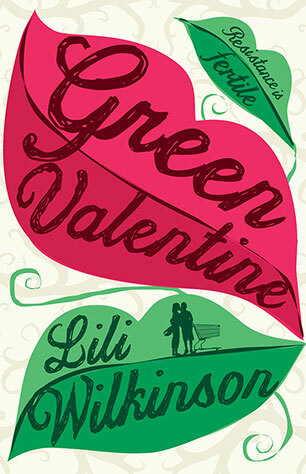 Her most recent book Green Valentine was published earlier this year, and is a classic romantic comedy: girl-meets-boy, love blossoms, and is derailed. Incredibly engaging, upbeat, funny and smart. As Lili says, NaNoWriMo is a great way to get a draft together very quickly but it’ll still need a great deal of work. And if you need a target for that work, and are under 35, why not set yourself the goal of submitting it for The Australian/Vogel’s Literary Award? Entries open early next year, and typically close at the end of May. That gives you another six months to revise this work into something you’re proud of and want to publish. Alternatively, our Friday Pitch accepts submissions every week. If a month seems like too much commitment, or you want to get ahead of yourself for NaNoWriMo, our Faber Writing Academy courses in Sydney and Melbourne could help with scholarship applications currently available, and the hugely useful one day Start to Write courses in Sydney or Melbourne taking place in November.